In Perennial Seller, Holiday shows readers how to make and market their own classic work. Featuring interviews with some of the world’s greatest creatives, and grounded in a deep study of the classics in every genre, this exciting new book empowers readers with a foundational set of innovative principles. Whether you have a book or a business, a song or the next great screenplay, this book reveals the recipe for perennial success. 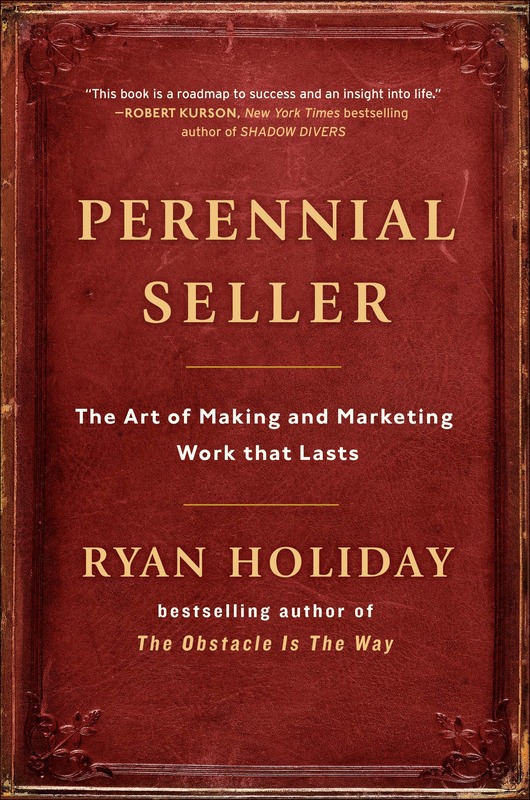 Ryan Holiday is the bestselling author of multiple books, including The Obstacle Is the Way and Ego Is the Enemy. His books have been translated in twenty languages and his writing has appeared everywhere from the Columbia Journalism Review to Entrepreneur and Fast Company. His company, Brass Check, has advised companies like Google, Taser and Complex as well as multi-platinum musicians and some of the biggest authors in the world. He lives in Austin, Texas.